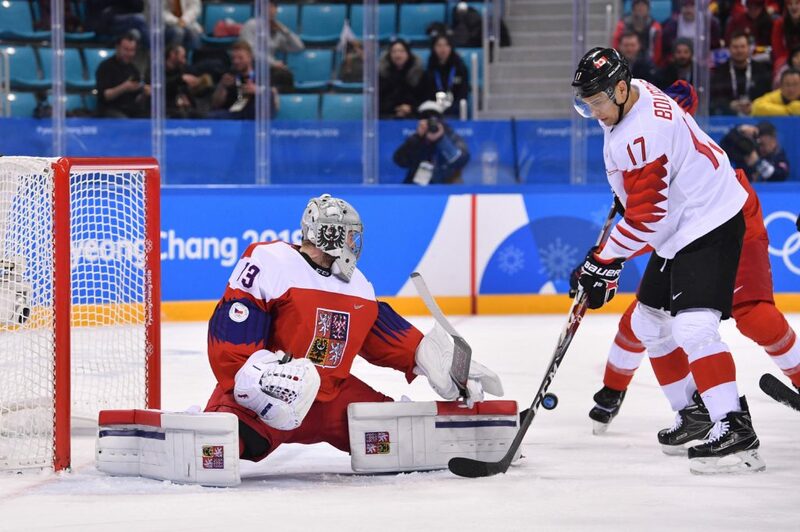 The Colorado Avalanche announced today that they have signed goaltender Pavel Francouz, a 27-year-old from the Czech Republic who has spent his last three seasons playing for Traktor Chelyabinsk in the KHL. Francouz’s numbers during his time in the KHL are impressive, to say the least. Over his career as a whole, he has a .945 save percentage and 1.73 goals against average, including the 1.81 goals-against .946 save percentage he put up this past season. Francouz played three seasons in the Czech Extraliga before making the move to the KHL. There, he won the league’s top goaltender award in both the 2012-13 and 2014-15 seasons. Standing at 6-feet and 179 pounds, Francouz catches with his right hand which is a rarity but has its advantages against shooters accustomed to the traditional left-handed glove side. With the 2018 IIHF World Championship just around the corner, Francouz is now the fourth Avalanche player officially participating along with Tyson Jost (CAN), Sven Andrighetto (SWI), and Mikko Rantanen (FIN). The Avalanche have both Jonathan Bernier and Andrew Hammond heading to unrestricted free agency this offseason and a work-in-progress restricted free agent in Spencer Martin, so it is unclear exactly where Francouz will fit in the organization, but it is a good chance he will end up as Colorado’s number-three goaltender, if not the backup right behind Semyon Varlamov. However, it needs to be considered that it is unlikely a player would leave the KHL for the AHL so we will just have to wait and see how the offseason shakes out. Regardless, the Avalanche got out to an early start to offseason acquisitions, bolstering an area of need and adding strength to a position that has been unreliable for a few years.